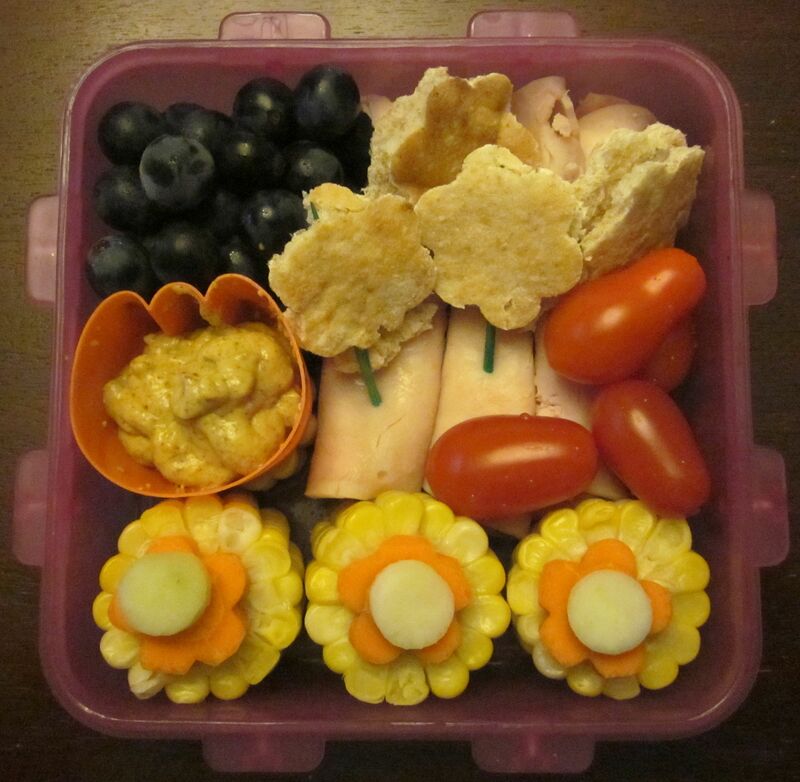 Clockwise from top left: Coronation grapes, rolled up roast turkey slices with flower-cut pita on toothpick stems; grape tomatoes; corn on the cob with flower-cut carrots and circle-cut kohlrabi; deli mustard for dipping. This one was for pizza day, so it just needed to be a good accompaniment to a slice of pizza. 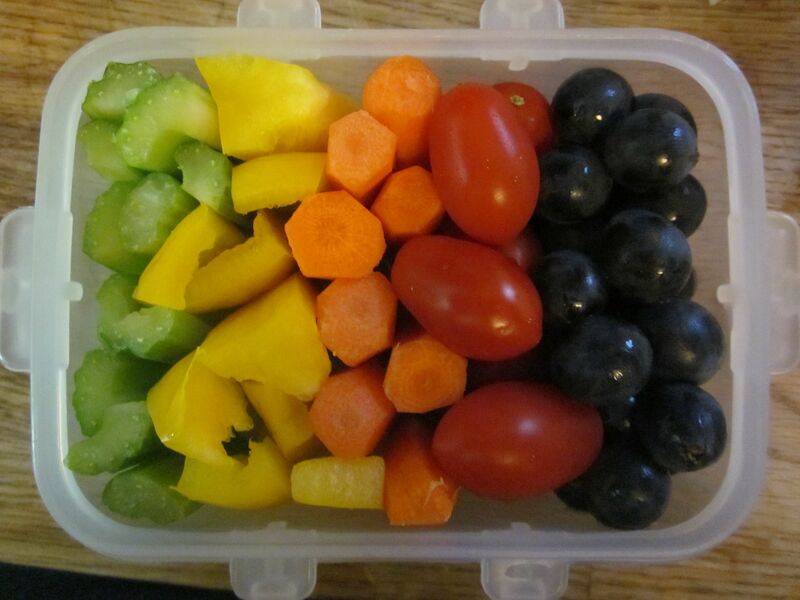 From left: celery, yellow peppers, baby carrots, grape tomatoes, coronation grapes. 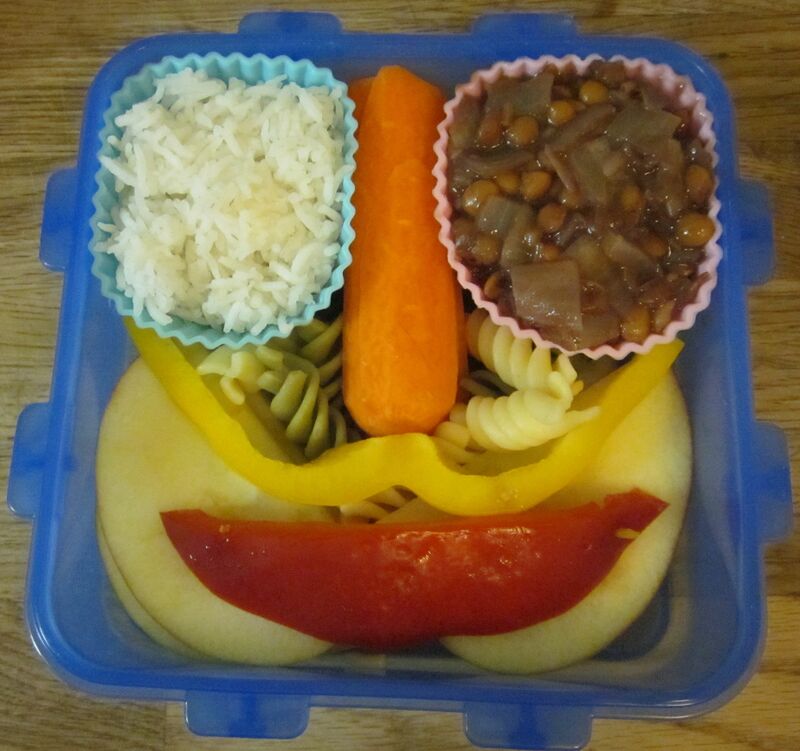 Clockwise from top left: basmati rice, sliced carrot, lentils in wine sauce, yellow pepper (mustache), red pepper (mouth), apple (cheeks/face), fusili pasta for filler. 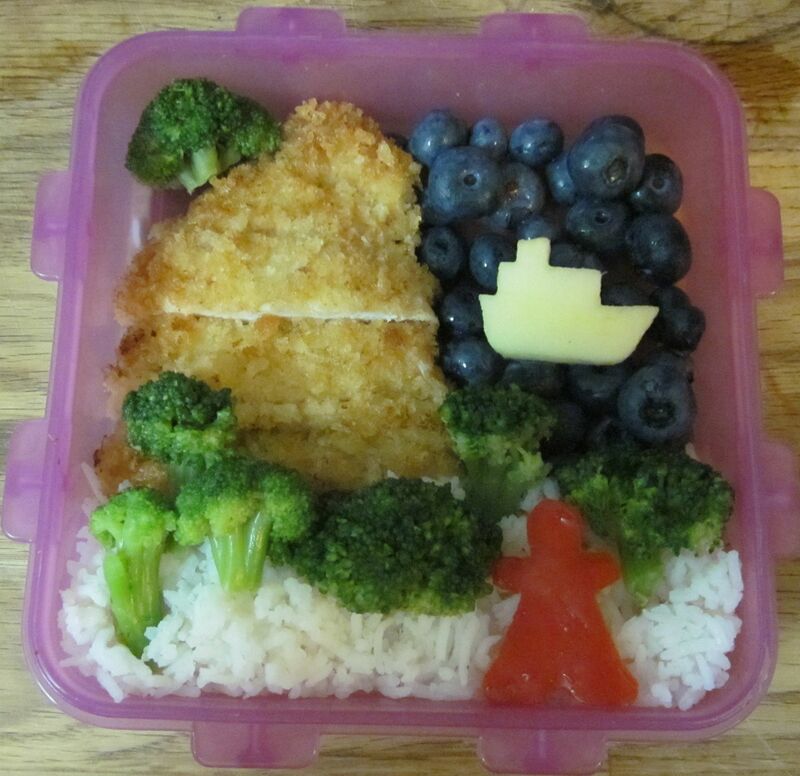 Turkey schnitzel mountain, coronation grape ocean/sky, apple-cut boat, broccoli trees, person-cut red pepper, basmati rice path. Ah, the visually boring. I just got too lazy to figure out different colours. 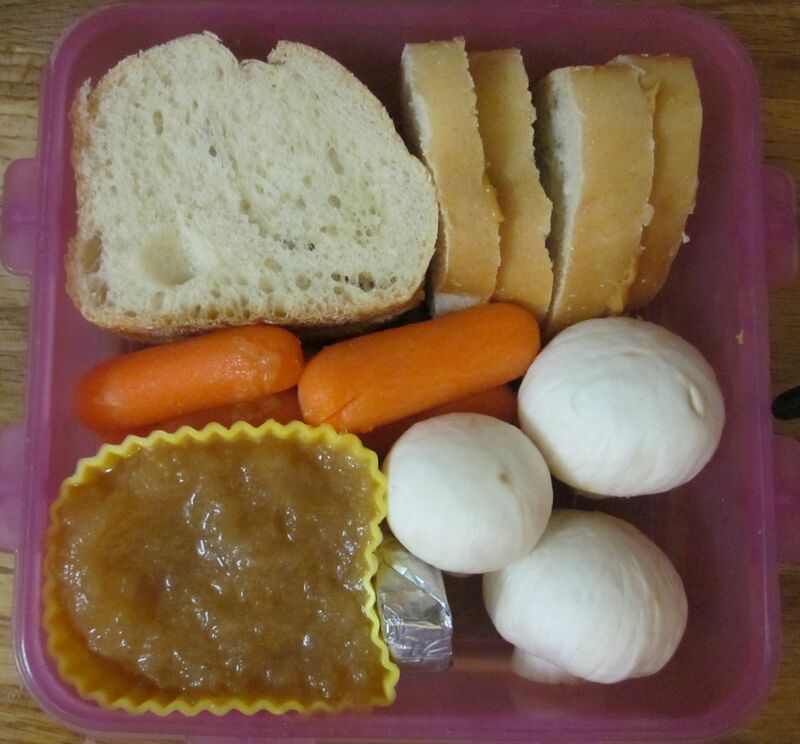 Clockwise from top: Soy butter on (tiny) Italian bread, white mushrooms, "triangle cheese", homemade applesauce, baby carrots. 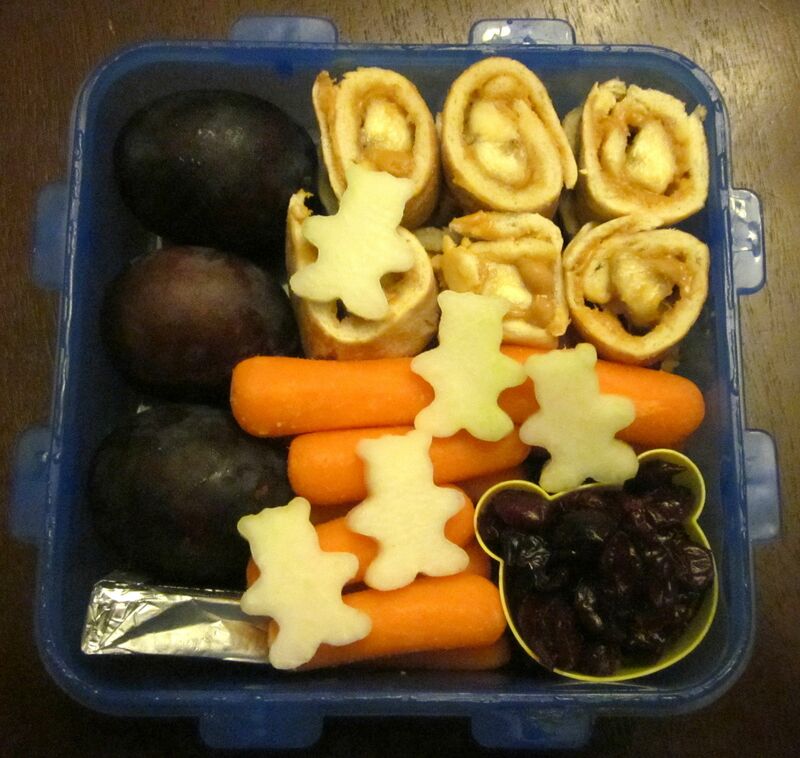 And I just now realized that the boring bento isn’t even fully necessary for tomorrow – it’s pizza day again and she really just needs some sides. Excuse me while I go re-pack. i can’t handle it, these are too awesome!!! !